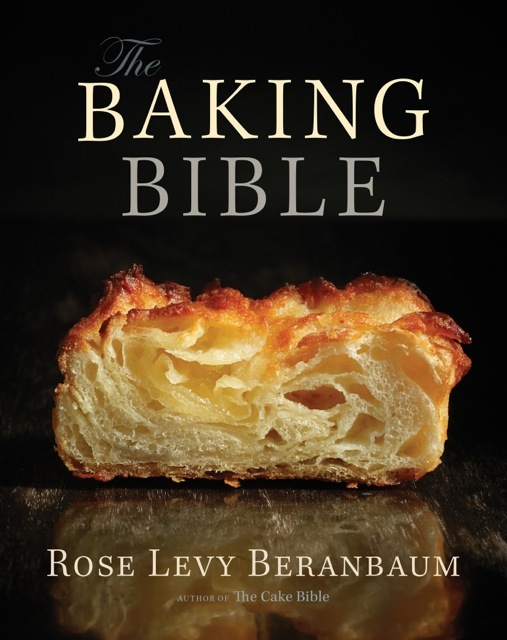 The Baking Bible Beranbaum, a veteran cookbook author and baker, divides this worthy tome into four sections: Cakes; Pies, Tarts, and Other Pastries; Cookies and Candy; Breads and Yeast Pastries. All recipes include weights and volume for ingredients, and the author's "Golden Rules" give readers essential baking information, such as why one should always use fresh baking powder and high-quality unsalted butter. "Highlights for Success" boxes are filled with inventive and helpful tips including freezing berries on branches. Classic recipes--think pumpkin pecan pie--are aplenty, but first-time recipes and unusual selections such as the author's Pink Pearl Lady Cake, Cadillac Café's milk chocolate bread pudding, and an Amish BlueRhu pie make this title a must-have gem. PW The offiicial pub date is November 4 but it can be pre ordered now on Amazon: The Baking Bible The major advantage of preordering is not only being among the first to receive the book but also the deep discount ($28.80 instead of the cover price of $40).